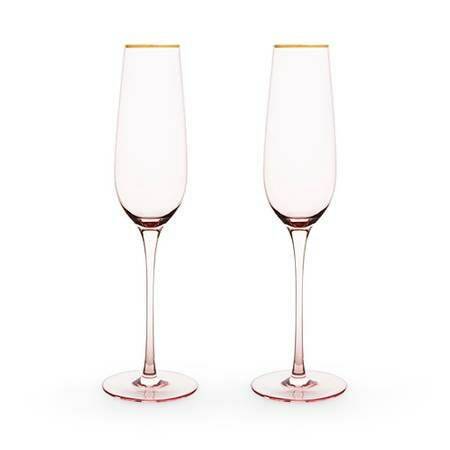 This pair of rose crystal champagne glasses have a gold rim and will be the talk of your party. These are the perfect glasses to hold your bubbly. The perfect gift for the wine connoisseur, or wedding gift.